Branford Harbor Entrance Buoy, Cow & Calf R “34″, Lat. 41° 14.3 N, Long. 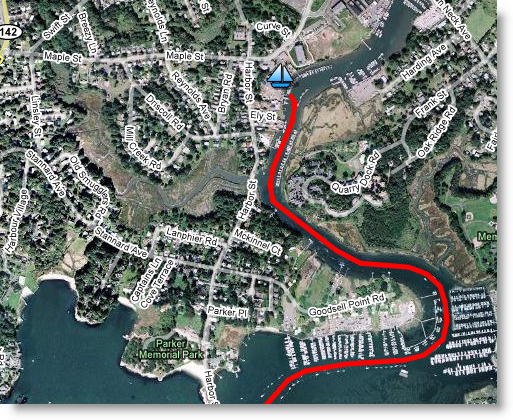 72° 50.5 W.
Follow marked channel into Branford River, NOAA Chart #12373. Dutch Wharf Boat Yard is one mile up river on the port side.